Beginning in adolescence, I was increasingly the "first," "one of the few," or the "only" African American and/or woman and/or working class person in my schools, communities, and work settings. I saw nothing wrong with being who I was, but apparently many others did. My world grew larger, but I felt I was growing smaller. I tried to disappear into myself in order to deflect the painful, daily assaults designed to teach me that being an African American, working-class woman made me lesser than those who were not. And as I felt smaller, I become quieter and eventually was virtually silenced (Collins, 1990, p. xi). As an undergraduate I did not think that all the answers were personal or in your head. Sociology was right between the sciences and philosophy. The sciences, with an emphasis on empirical data, can reveal some of the hidden structures and patterns that are not obvious to you, whether you are talking about explaining natural or social phenomena. Philosophy offers explanations and interpretations. I was particularly drawn to the way that Sociology was taught at Brandeis, where they embraced a sociology of knowledge approach. Sociology was also the place where race was studied. I liked how this major enabled me to reach in many directions. An important advisor at Brandeis was Pauli Murray, an African American woman who had opened many doors during the Civil Rights movement. Pat saw her connection to Murray important to intergenerational community building, as those who gain in one era have to work for social change over their careers. Even in college, Pat was involved in progressive educational pursuits in Boston’s Black community. After college, she secured an MAT in Social Science Education at Harvard University in 1970. As a teacher, she was very involved in curriculum development at St. Joseph’s School, a diverse community-based school in Roxbury. She participated in many of the progressive educational developments regarding inner city schooling. From 1976-1980, she was the Director of the African American Center at Tufts University, involved with many initiatives in programming and staffing. While working at Tufts, she met and married Roger Collins in 1977 and gave birth to their daughter Valerie in 1979. In 1980, she returned to Brandeis to pursue a doctorate in sociology. She was an ASA Minority Fellow and the recipient of a Sydney Spivack Dissertation Support Award. In 1982, the Collins family relocated to Cincinnati, where Roger taught in the School of Education at the University of Cincinnati. Patricia joined him at that institution in the Department of African American Studies. This department would be her home base for 23 years where she also served as Chair from 1999-2002. Working in African American Studies gave Patricia the intellectual space to question the boxes that people generally use to frame issues within disciplinary fields. She also developed links between Women’s Studies and Sociology, where in 1996 she became the Charles Phelps Taft Distinguished Professor of Sociology, now Emeritus. 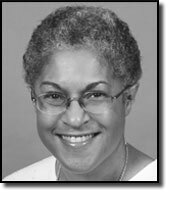 In 2005, Patricia Hill Collins joined the University of Maryland where she was the Wilson Elkins Professor of Sociology 2005-2006 and is currently Distinguished University Professor. In her new location, she is working with graduate students in race, feminist scholarship, and sociological theory. Over the years, Patricia has developed many international connections, spending time in Durban, South Africa; Berlin, Germany; Oslo, Norway; and Bristol and London in the United Kingdom. Her journey has taken her into many communities, helping her think about connections among different communities and what it means to cross race, class, gender, regional, and international borders. Many people learned about Patricia Hill Collins when her groundbreaking article, "Learning from the Outsider Within," was published in Social Problems in 1986. The article articulated a standpoint reflecting her race, gender, and social class location as she moved across and within various institutions. A consistent theme in Collins’s work is how she questions the traditional framing of issues. When I met her at a curriculum integration workshop in 1985, she spoke about how the national framing of "the Black family" as a problem was problematic because it neglected an understanding of families within the wider context of oppression and resistance. She talked with us about how many of her students entered classrooms believing these myths. Teaching students to think differently was a challenge, but she thought the key was to provide students with a framework that integrated broader social forces into an understanding of the tasks and resources of any family. Over her career she has reframed many of the major assumptions, demonstrating how dominant thought is typically reflective of power relationships; she has helped us all understand the counter narratives held within more subordinated communities. In 1990 Collins published Black Feminist Thought: Knowledge, Consciousness, and the Politics of Empowerment, which won ASA’s Jessie Bernard Award, the SSSP C. Wright Mills Award, and garnered other awards from the Association of Women in Psychology and Black Women Historians. Collins has pushed scholars to identify the ground on which they stand, rather than claiming neutral space. Black Feminist Thought clearly identifies an intersectional analysis, rather than a hierarchical formula where race is primary over gender or where social class trumps all. Her theoretical analysis shows how oppression operates in various spheres—political, economic, and ideological. Thus, although we can appreciate that social class may offer some protection or resources to battle the sexism and racism that Black women experience, achieving middle class status does not remove one from the political, economic, and ideological operations. Most importantly, Black Feminist Thought illuminated how Black women have looked at and analyzed their lives in the past—challenging the sociological thinking that rendered them invisible, making them witnesses but not analysts of their own lives. The clarity of her discussion of power, including how oppressed people understand the power that engulfs them and develop alternative self-definitions of themselves and their situations, has turned the tide of theoretical analysis. In sharing the voices of Black women, Collins exposed many scholars to a literature and history that was new. In 2000, Collins published the 10th anniversary edition of Black Feminist Thought, incorporating new work and more forcefully sharing with readers the idea that people who lack power have a viewpoint very different from the master narrative. She also incorporated a more comprehensive analysis of sexuality in her intersectional analysis and took a more international perspective. Between the two editions of Black Feminist Thought Pat published Fighting Words: Black Women and the Struggle for Justice (1998) tracking her thinking about empowerment and social justice. Throughout, Collins has been a major voice as a public sociologist. An important collaboration for Collins is her work with Margaret L. Andersen. The two developed Race, Class and Gender: An Anthology (soon to be in its 7th edition). This pioneering volume, first published in 1992, has been a critical teaching tool for an intersectional analysis. Its various editions showcase new scholarship, but the thoughtful introductory essays have also been critical in teaching faculty and students a framework for understanding intersecting inequalities. In Black Sexual Politics: African Americans, Gender and the New Racism (2004) Collins has more fully integrated sexuality in to her analysis and we see the importance of looking across borders to view racism on a global scale. In this exploration of the historical and contemporary circumstances of African American men and women, she brings a wealth of material from history, empirical research, cultural studies, and keen observations of social, cultural, and political events. Shards of the old racism of segregation and exclusion are part of the racism of the 21st century, as the legacy impacts intergenerational mobility or lack of it. However, the increased concentration of wealth and power has a global reach influencing the images and options of racialized and gendered bodies. This book earned the 2007 ASA Distinguished Publication Award. Patricia Hill Collins’ trajectory of scholarship has been attentive to community building and institutional change on other fronts, as well. A long-time resident of Cincinnati, Collins was involved with community groups that support educational and cultural programs for girls and women. As a former ASA Minority Fellowship recipient, she has served on the ASA committee that oversees that program, two years as chair (1985-88), as well as the ASA Task Force (1989-93) that first created the Minority Opportunity Summer Training (MOST). In setting "The New Politics of Community" as the theme for the 104th ASA Annual Meeting, Collins invites us to reframe the concept of community for the 21st century. Through her path, we see how Collins moves among multiple communities to be an outsider to some and an insider within others. Collins sees the task of constructing democratic communities, whether across space, between generations, or across categories of race, class, and gender as a core political challenge of our times. By weaving a network of family, friends, and colleagues, she aspires to generate communities that nurture her, as well as help to engender communities that support the development of scholarship framed by a commitment to social justice.